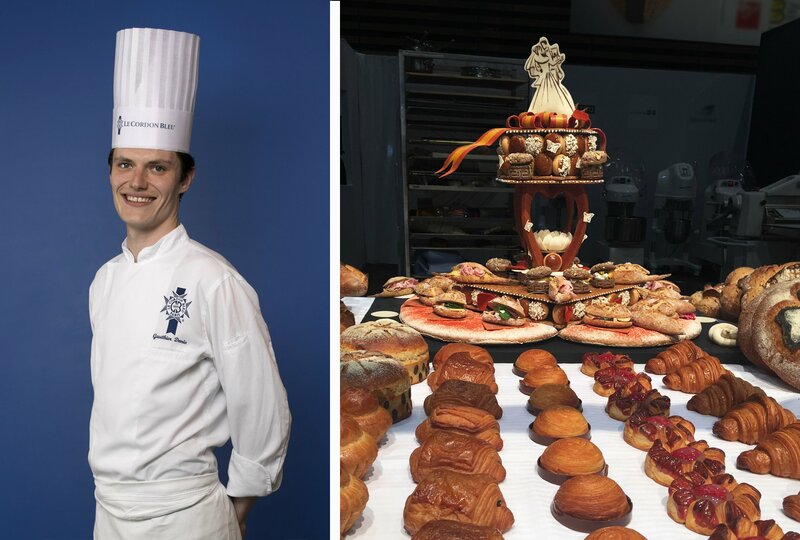 Gauthier Denis, Le Cordon Bleu Boulangerie Chef Instructor, selected in the France Team for the Boulangerie World Cup 2022. 31 January 2019 - Le Cordon Bleu, the leading global network of Culinary Arts and Hospitality Management Institutes, will be represented by one of its Chef Instructors during the Boulangerie World Cup. 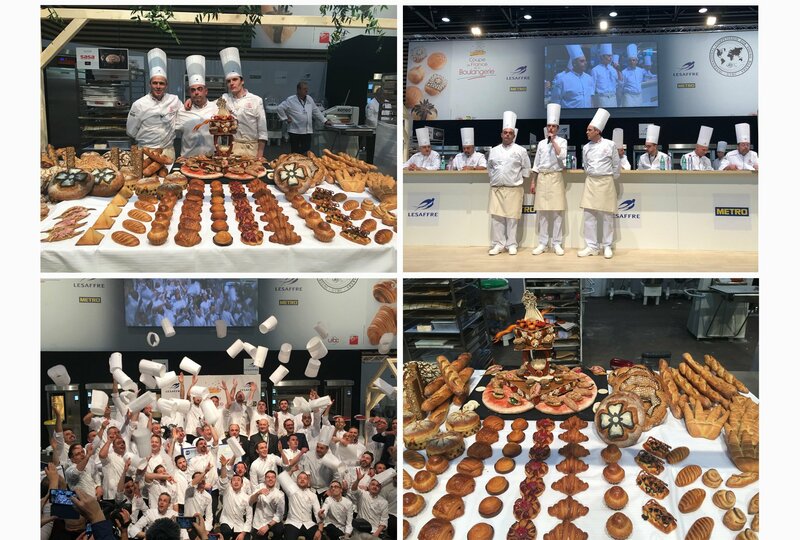 After months of training, three Chef Instructors from Le Cordon Bleu Paris represented the Île de France region in the Coupe de France de la Boulangerie (French Bakery Cup), a competition held during the SIRHA (international hotel catering and food trade exhibition ) in Lyon, France in January 2019. The Chefs Gauthier Denis, Vincent Somoza and Frédéric Hoël, coached by Chef Olivier Boudot, Le Cordon Bleu Paris Boulangerie Technical Director, have honourably represented their region during this competition. Freshly baked pastries, special and gluten-free breads... The various pieces needed to be prepared in a limited time. Gauthier Denis wedding-themed artistic piece got the highest grade of the competition. This performance marks a turning point in his career as he was selected to make the artistic piece for the French Team during the 2022 Boulangerie World Cup. Chef Gauthier Denis decided to study bakery after obtaining his baccalaureate. He passed a CAP (Certificat d’Aptitude Professionnel) while working in a traditional bakery before taking, in 2014, an additional mention allowing him to learn special bread techniques and decorations. He then worked at the Hotel Plaza Athénée in Paris, where his professionalism allowed him to create his own pieces. Passionate about his profession and eager for new knowledge, Chef Denis then went to Italy for a while to work with Pasquale Marigliano. Chef Denis joined Le Cordon Bleu Paris in 2017.